Image of the Bi-Quad antenna. If you want to improve your Wi-Fi reception at home or need an antenna with 10 dBi gain and 20% (typical) bandwidth that is cheap and easy to build the Bi-Quad may be the antenna for you. 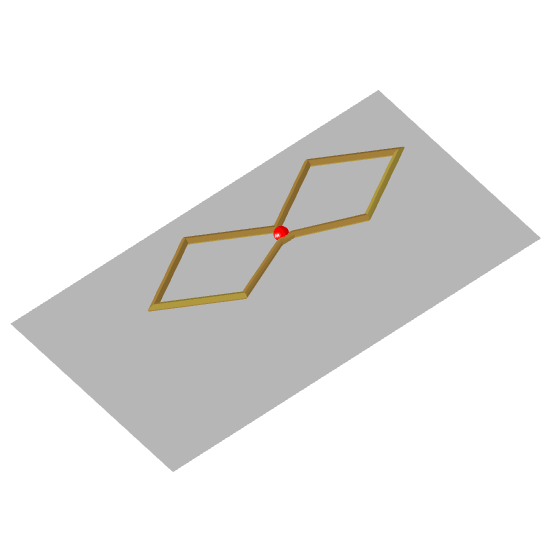 This antenna consists of two equilateral quadrilateral (i.e. 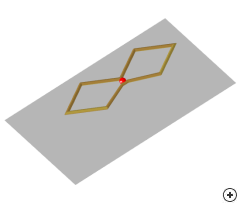 rhombic) loops fed in parallel, above a flat reflector. Its relatively simple geometry provides design flexibility to achieve good performance. The Bi-Quad is popular for wireless communication applications in the ISM (~2.4GHz) band, where it is used both as a sector antenna for access-points and as a feed for reflector antennas. Although the Bi-Quad is not inherently balanced, the ground plane means that it works quite well without a balun. One of the challenges in adding the Bi-Quad to Antenna Magus was that we weren't able to find measured data in any references. The image below shows the antenna that was fabricated by Antenna Magus engineers, measured and used to verify that the models were built correctly. 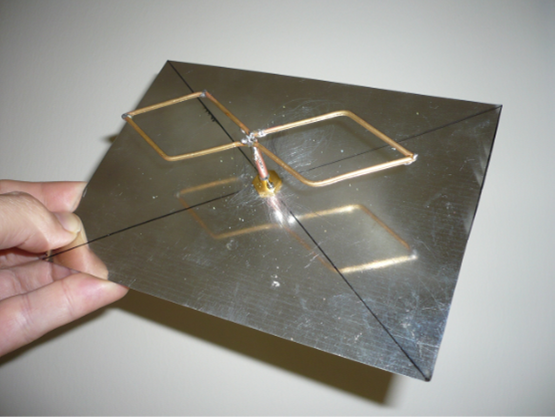 Image of the Bi-Quad fabricated by the Antenna Magus engineers.